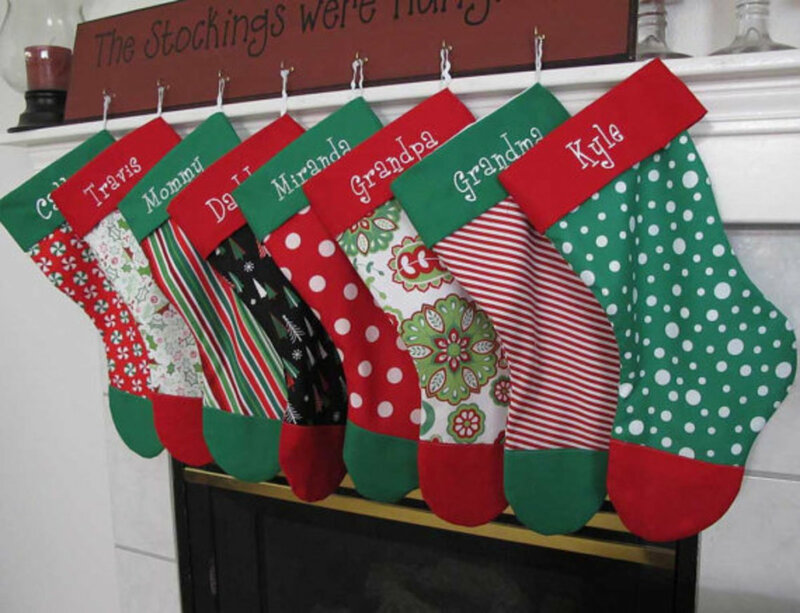 Giant, large Christmas stockings are an extremely fun way to add a novelty aspect to your Christmas fun and décor. Some of these huge Christmas stockings can be very tall; others very wide; while some are both tall and wide. One thing I think of doing with a huge Christmas stocking is putting a group of smaller gifts together for everyone you're giving gifts to while placing them in the stocking without them knowing it. 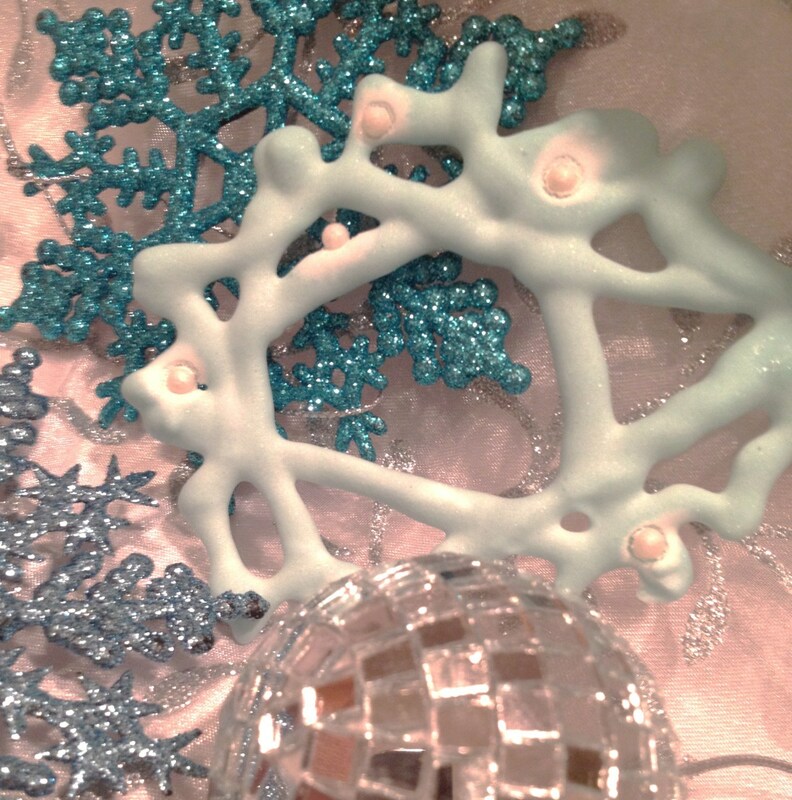 To get up to a huge stocking full of gifts would delight everyone. 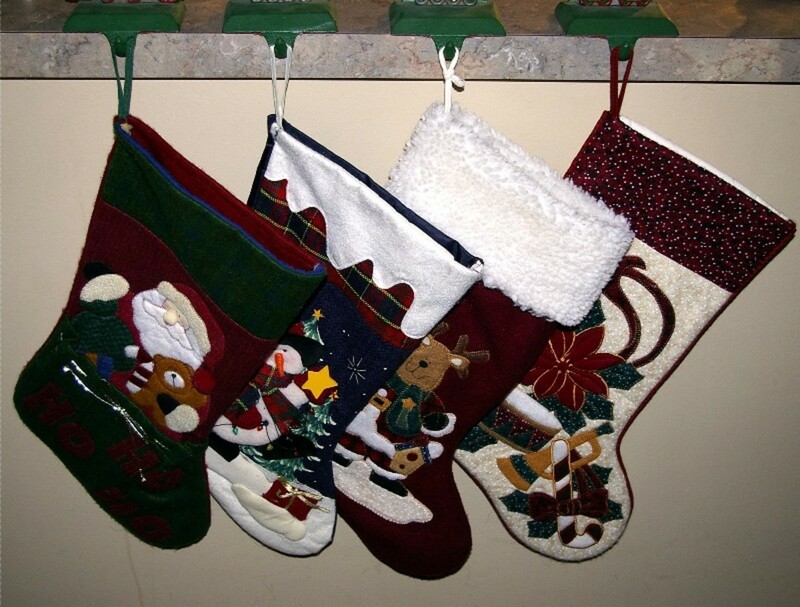 Most giant Christmas stockings are the traditional red with the white snow-cap at the top. As for design, one of these would be very difficult and time-consuming to make; the reason I think they're mostly done in white and red for those making them. 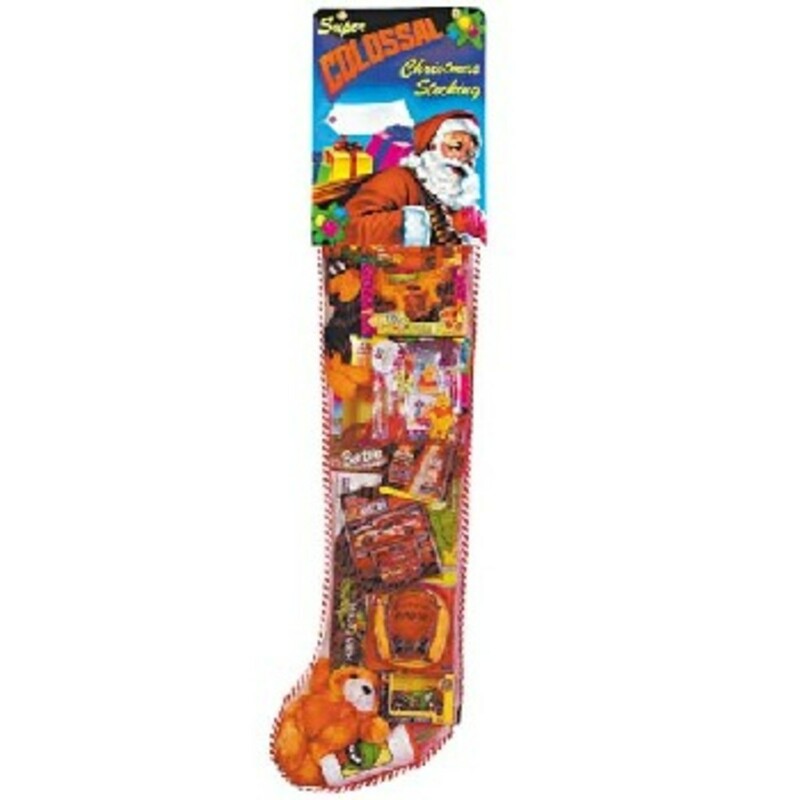 Another type of large Christmas stocking is one made of mesh, which is filled with all sorts of Christmas goodies. 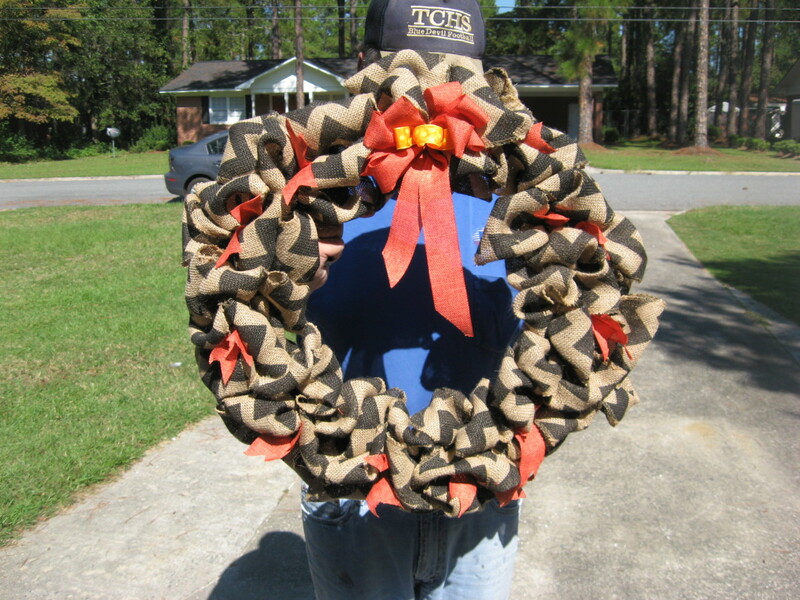 Consequently, you can just hang it up and surprise everyone in the morning. A good alternative to trying to figure out what to fill a huge stocking with if you're limited by time and ideas. This first gallery of giant Christmas stockings are shown being held by children or contrasted with the size of children, in order to give some idea as to their height and width. 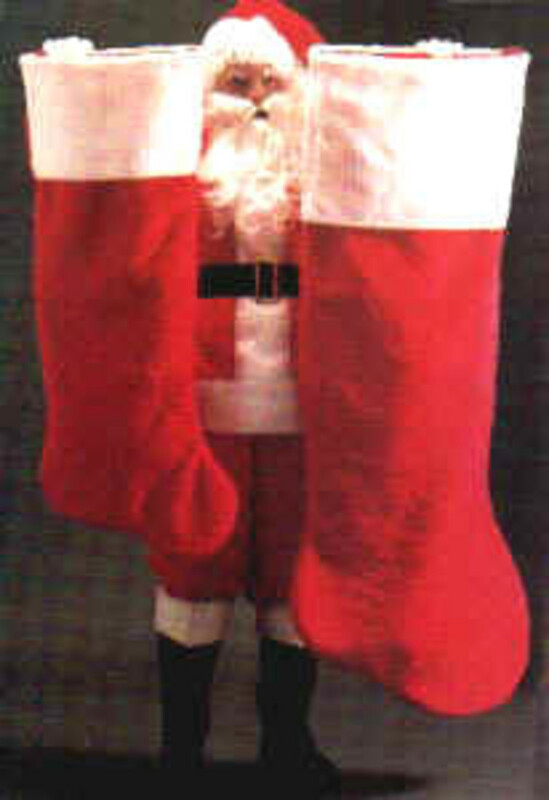 For the first giant Christmas stocking you see, it includes the very traditional white top and red bottom with nothing else added. This would be a good, general stocking for stuffing full of stuff for a variety of people, or for presenting different types of Christmas decorations, lights or ornaments in. The second one shows what a personalized, monogram Christmas stocking would look like, and is of course the same as the first stocking other than the name. Last, we get a slightly different giant Christmas stocking with a design, and which is very wide, as you can see from its holding of the young boy. Talk about some humongous Christmas stockings, here they are. Even the small one is extreme, although it's probably close to the sizes held by children. That really big one would sure hold a lot of stuff. 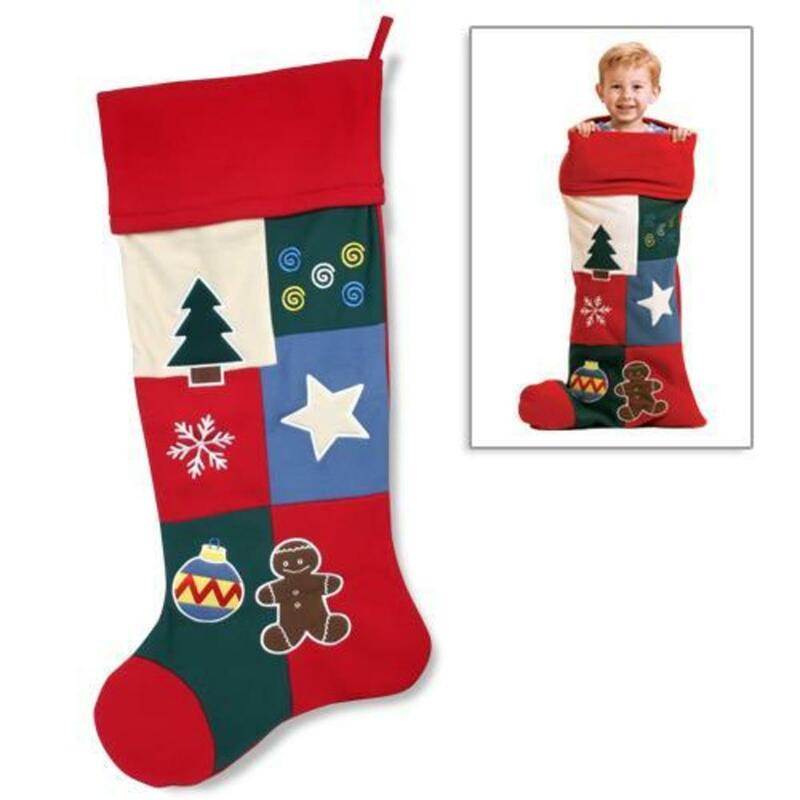 Here is an example of a large Christmas stocking you can buy already filled with goodies. A lot of people prefer to take care of buying gifts like this on an annual basis rather than store a set of Christmas stocking and bringing them out once a year to fill them with presents and other goodies. So you could buy something like this giant stocking and let the little ones play with or eat the stuff in it. With that practice you're done with having to store stockings and other things like that for the next year. 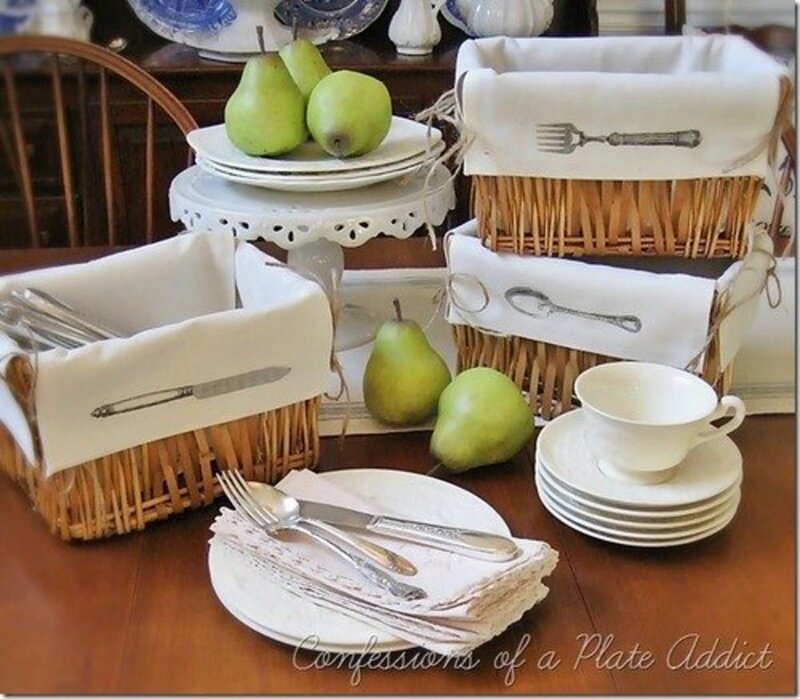 Not a bad idea for those who prefer not to have a lot of items stored in their homes or who don't have the time to dig them out year after year. Although the varieties of giant Christmas stockings aren't that many, the idea is the novelty of the size. Yet the size of the stocking surely gives you all sorts of creative things you can do with it, from filling it up with presents for a variety of people, as I mentioned above, or from decorating with all sorts of things to add to your Christmas decor. Either way, a giant Christmas stocking is sure to delight family and friends, and will definitely be a great conversation piece.